So many shoes, so little time (and money). I bought ONLY 2 pairs of boots (among other things). So many fashionable and vain people packed in one big city! Who can blame them? They live in the fashion capital of the world (excuses to London, Paris and New York). Imagine this: Women with perfect make-up, no hair out of place, everyone in violet and grey (the in-colors for the year) and men looking like they stepped out of a magazine cover wearing elegantly cut suits and coats. Everyone really looked so great! Honestly, I had more fun observing the people more than the monuments and architecture. On the first day, Anselme and I concentrated our shopping efforts along Corso Buenos Aires. It was really the shopping experience that I hoped it to be. What was great was that they really had stuff that cannot be found elsewhere. Anselme bought more than me as usual. The hotel I chose was perfect! 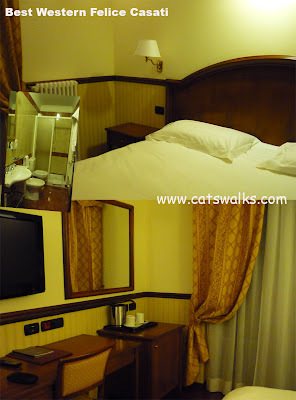 It's a spotlessly clean, 4-star hotel costing only 100 euros a night including breakfast. I strategically chose a hotel near Corso Buenos aires, so we could deposit our shopping bags easily. 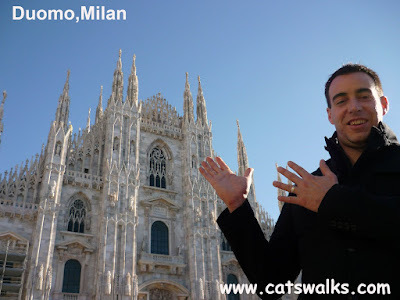 There are four important streets in Milan that are entirely dedicated to shopping: Corso Vittorio Emanuele, Corso Buenos Aires, Via Torino and Corso di Porta Ticinese then there are the flea markets and the designer outlets outside the city. Unfortunately, we had time (and money) to visit Corso Buenos Aires only, so obviously we missed a lot! 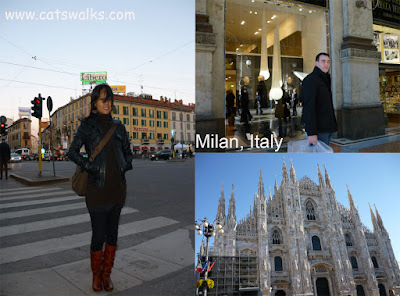 From now on, I think, we will visit Milan twice a year for shopping. 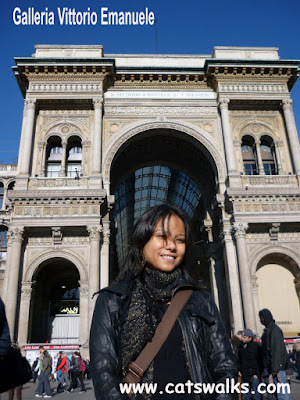 The second day, after we have put shopping out of our system, we were free to do the necessary picture taking in front of the Duomo and the Galleria Vittorio Emanuele. The Duomo of Milan, built 1386 by Archbishop Antonio da Saluzzo, is the largest Gothic Cathedral in the world (and the second largest Catholic Cathedral in the world). The Galleria Vittorio Emanuele, on the other hand, is a neo-classical shopping mall connecting the Piazza del Duomo to the Piazza della Scala. We didn't have time to do many things since we had to go back to Zürich that day also. Next time I will make it a point to see the Last Supper of Leonardo da Vinci at the Santa Maria delle Grazie. Dan Brown's Da Vinci Code made the painting so popular (than ever) that now one needs to take an appointment before being allowed to see it.